Come and visit San Diego Imperial Beach California, famous for its U.S. Open Sandcastle Competition that was held each summer (usually in July) through 2011. 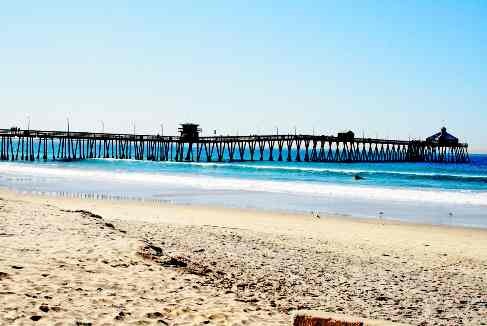 Imperial Beach is located just south of San Diego CA. 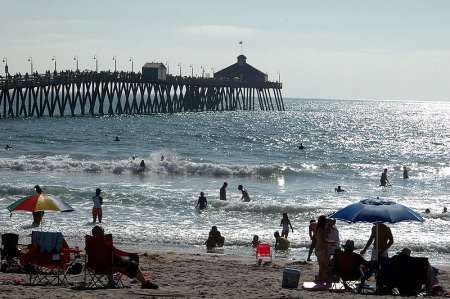 The Imperial Beach Pier is a great place to take children fishing for the day, and no fishing license is required. The Tin Fish restaurant is located at the end of the pier. Note: The Sun and Sea Festival in Imperial Beach has replaced the U.S. Open Sandcastle Competition. You can find it listed on our events page for July. Imperial Beach California is home to the former U. S. Open Sandcastle Competition, now the Sun and Sea Festival, is said to have the best California beach sand! 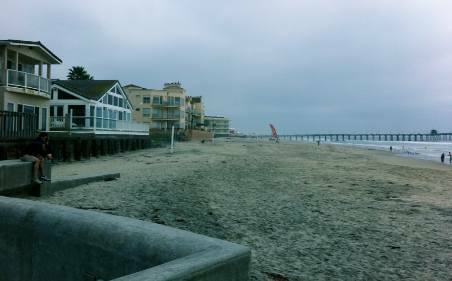 The beach is ideal for swimming, jogging, sunbathing and surfing, and is popular among South San Diego residents. Imperial Beach San Diego CA should be on your list for a sand castle contest or for a nice day at the beach. The Sun & Sea Festival is held on a Saturday in July at Portwood Pier Plaza. The event includes Kids N' Kastles competition for children ages 12 and under (no adult sand castle competition). Join in the arts and crafts, enjoy some food and a fun day for all! The world famous Imperial Beach Sand Castle Competition was last held in July 2011 at Imperial Beach, California. This event is no longer held. Please join in the fun at the Sun & Sea Festival. Parking: Parking lots and street parking available. Things to Do: Walking, jogging, sunbathing, swimming, bodyboarding, surfing, beach volleyball, barbeque at nearby Dunes Park and Pier Portwood Plaza, picnic lunch on the beach, dine in restaurant with ocean view. Things to See: Sunset over the Pacific Ocean, Imperial Beach pier, Ocean Riders bronze sculpture. Services: Many restaurants, shops, bars, surf shops, rental shops and hotels along the beach. Lifeguard: Lifeguards during summer. Call 619-423-8328 for more information. Hazards: Rip currents, occasional poor water quality after heavy rains. Further south in the town of Imperial Beach, California near the border with Mexico is the Tijuana Slough National Wildlife Refuge, the largest salt water marsh in Southern California. The California Border Field State Park occupies part of the refuge. There are nice hiking trails and horseback riding on the beach, but swimming or surfing is not recommended due to poor water quality. Imperial Beach Cal. Directions: From San Diego CA go south on Interstate 5, exit Palm Avenue. Go west (right) all the way to the end. At a stoplight near the Goodwill store you will need to veer left. To reach the Imperial Beach pier, at the end of Palm Ave. turn left onto Seacoast Drive for four blocks.